Joanne Smith-Darden is an applied researcher and interdisciplinary scholar. Smith-Darden's research examines the interface between early relational maltreatment, attachment, and cognitive processing; particularly auditory and language processing. She has significant experience in conducting large community and school based studies that examine the impact of early relational trauma on future perpetration as well as physical, psychological, cognitive, and educational outcomes associated with the experience of trauma and/or violence. Recent research examines how context predicts school adjustment in at-risk children and youth relative to the ability to self-regulate and process information. Related work focuses on the evolution and prevention of teen dating violence; more recently, the role of technology and social media in understanding perpetration of teen dating violence. Smith-Darden's work is driven by over thirty years of experience working with vulnerable populations. She holds degrees in special education, speech and language pathology, social work and developmental psychology and obtained an interdisciplinary doctorate in Social Work and Developmental Psychology at the University of Michigan, Ann Arbor in 2008. She has trained, practiced, consulted, and evaluated service delivery in a variety of settings including schools, educational cooperatives serving low-incidence handicaps, non-profit community agencies, rehabilitation facilities, hospitals, and the Michigan Bureau of Juvenile Justice. Smith-Darden joined the Wayne State University School of Social Work in 2009 and is the school's first assistant professor of research and was promoted to associate professor of research in 2017. She teaches graduate level social work courses in Social Action Research and is the faculty advisor for the Student Mentors Applied Research Team (SMART) Learning Community. 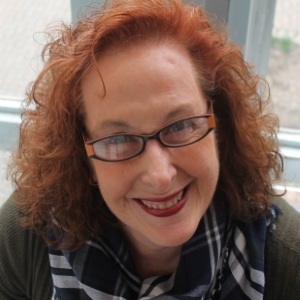 She is a member of the Merrill Palmer Skillman Institute's Children's Bridge Child Maltreatment group; a highly skilled group of academics interested in child development and maltreatment at WSU. In collaboration with Dr. Poco Kernsmith, this pilot research explores the attitudes and experiences of youth, their parents, and school personnel with technologically facilitated behaviors such as stalking, emotional abuse and coercive sexting. The goal of the project is to explore the etiology of youth intimate partner violence and sexual behavior in the context of social media and mobile technology and to develop education and prevention programs on healthy online and dating behavior. This study is conducted in collaboration with Dr. Chris Trentacosta, assistant professor of Clinical Psychology at Wayne State University. The study examines family contextual risk factors, self-regulation skills, and auditory processing skills as predictors of school adjustment during kindergarten and first grade among low-income children. The study was designed to examine the interplay of family contextual risk and children's self-regulation and auditory processing skills as predictors of academic achievement. In collaboration with Dr. Arlene Weisz, Dr. Smith-Darden investigates research that links community contexts to the rates and effects of TDV. Dr. Weisz and Dr. Smith-Darden hypothesize that because of high levels of community stress and lower rates of help-seeking, adolescents from communities with higher levels of community violence will experience more TDV victimization and more deleterious effects from TDV, including effects on physical and mental health as well as on school performance.